All over Canada, housing costs are climbing steadily, making multi-unit properties an increasingly popular choice for tenants. These co-op living spaces are a great alternative to stand alone properties but maintaining them can be tough. 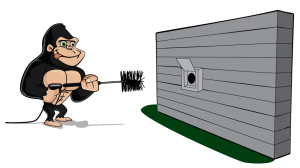 If you are in charge of day to day maintenance for an apartment building, condo complex or multi-suite property, call a Gorilla to lighten your load. Our Fort McMurray dryer vent cleaning helps keep shared laundry spaces functional through a bit of routine maintenance. Basic property maintenance usually focuses around the aesthetics of homes or outer areas such as lawns or gardens. It is easy to become wrapped up in visuals but the real problem areas of properties are those that can’t be seen. Take communal laundry spaces, for instance; it is easy to see when a machine needs to be wiped down or a lint trap should be cleaned, but what about the vents and ducts attached to it? Lint traps might block the majority of material from sneaking through but bits and pieces will still make their way into the hardware of appliances. As unwanted material begins to collect, it becomes a fire hazard and provides a home for harmful material like mould and allergens. Booking an appointment for your Fort McMurray dryer vent cleaning at least once a year, prevents the worst case scenarios from becoming your reality. Gorillas are usually known to be large and destructive but this is not the wild and our property maintenance experts provide a much lighter touch. Properties in the Fort McMurray area come in all shapes, forms and conditions. Treating properties according to their conditions means better results without the risk of unnecessary damage to materials. 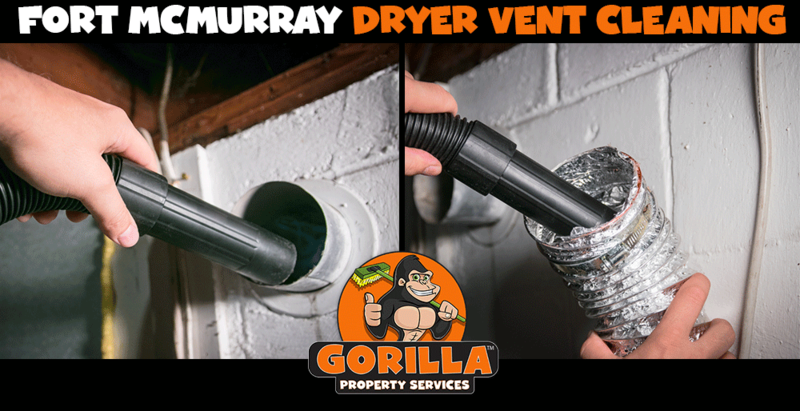 By using top of the line tools, our Gorillas are able to see inside vents, ensuring that clients get the best results throughout the entirety of their system. Our Gorillas are proud of their results and love to show them off. Before and after photos keep clients in the loop without the stress of getting their hands dirty.